Have you ever felt that some aspects of blockchain applications disable you from experiencing the full potential of cryptocurrencies and blockchain technology? For example, you perhaps cannot find the appropriate wallet for which you would instantly say that it is the best Ethereum wallet ever. You might have thoughts about all those advantages that could be achieved with the mass adoption of blockchain technologies but you cannot taste them because of current blockchain market failures? We agree that it would be great to achieve blockchain mass adoption and to enable everyone interested in blockchain and cryptocurrencies to sense their power and potential with some consumer and developer solutions developed by blockchain experts. Finally, we would all be relieved to have user-friendly wallet available for use, of which functionality we are impressed and sorry for not investing in it while it was ICO – because that wallet is now among first three blockchain wallets – and rapidly rising! To be honest, we have unpleasant feeling in the stomach just for writing such circumstances, imagine what would it be like to actually witness such a missed opportunity in the near future. Not that nice, right? Well, what if I say now that there is such ICO Ethereum wallet right now, and that today is the best opportunity to grab some of this ICOs success? One of the biggest blockchain problems is the fact that the level of token user adoption is very low. The fact is that an increase in a number of people involved in blockchain is crucial for crossing the blockchain to a new level of development. Just to make it clear, blockchain has several adoption problems that blockchain must overcome in order to reach its full potential. As you already know, the first thing that must be done in order to improve development of blockchain is to achieve increasing number of people who understand what blockchain technology is, how to use it and how to use cryptocurrency at daily basis, what are it’s potentials and what changes blockchain can do in the world. Secondly, we also know that, in order for the blockchain system to function and to fulfill its purpose, enterprises must include the blockchain technology in their organizational business system – in other words, enterprises must abandon their existing business system in some aspects that will directly help blockchain technology implementation. Lastly, in order to achieve that, blockchain consumer and developer solutions which are (and will be) used in a business must be more affordable in order to enable enterprises to implement this kind of software. After all, it is impossible to implement it without blockchain technology experts which means bigger financial cost and which finally, makes blockchain adoption in enterprises even harder to get. 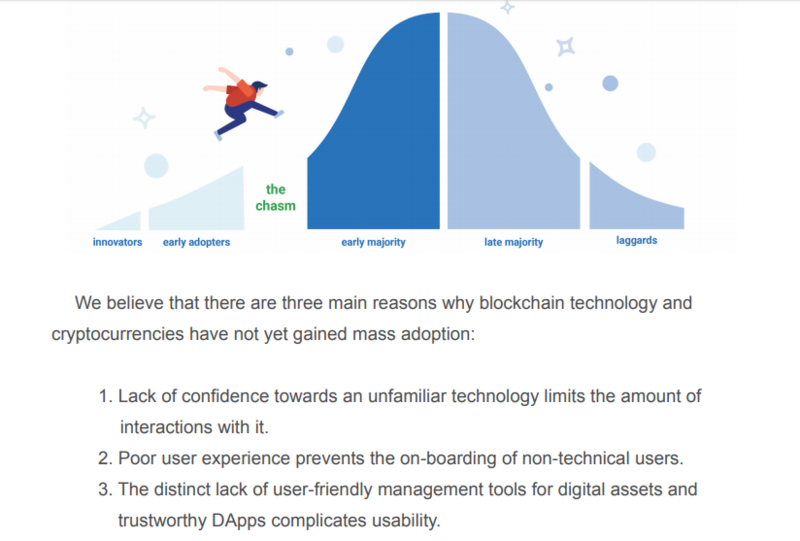 If we ask the Trust Platform team members for the personal opinion about the main reasons why blockchain technology and cryptocurrencies have not yet gained mass adoption, they will say that “lack of confidence in an unfamiliar technology limits the amount of interaction with it; poor user experience prevents the on-boarding of non-technical users; the distinct lack of user-friendly management tools for digital assets and trustworthy DApps complicates usability”. In order for every person to benefit of blockchain technology, it is necessary that blockchain is massively accepted. The first obstacle to overcome is to enable entry and participation of all other people who still do not understand blockchain technology. The goal is not to have the blockchain network of people who do not understand blockchain technology but to provide them with user-friendly user face when trying to be part of the blockchain. How to achieve it? We already know what kind of consumer and developer solution the Trust Platform Network ICO offered – the user-friendly wallet. However, let us look at it in a little more detail. (Extra information: Trust Wallet app today has more than 144,000 downloads and about 63,000 active users every month (and 12,000 users who are on Trust wallet active daily). Trust Wallet since January 2018 has experienced about 1100% growth! We think there is no need to tell you why it is useful to read Trust Network review to the end. If we take a look at the Trust whitepaper, at first few words we can see problem definition and blockchain problem real solutions that Trust Platform Network ICO has to offer (and is already offering). First of all, let’s just announce that Trust Platform Wallet solves the problem of blockchain mass adoption. 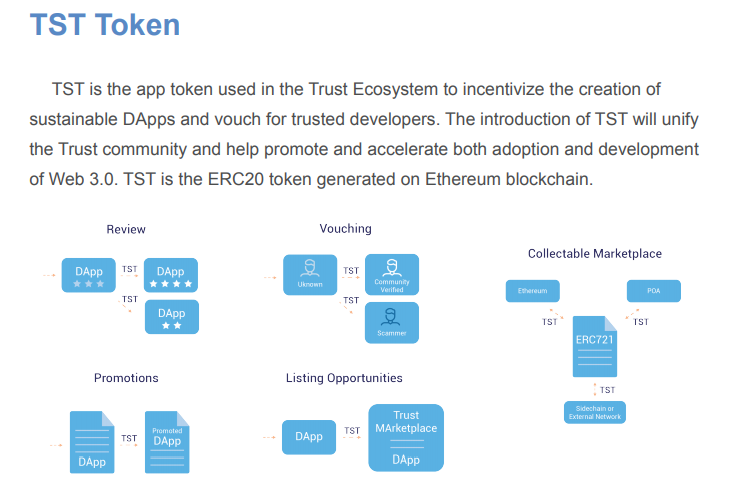 Trust Platform whitepaper besides problem and the solution describes future development of Trust Platform (in six steps + Trust Platform roadmap), TST token and token generation event (TGE), DApp development, budget, and TGE raise allocation. Trust Platform appendix A and appendix B are a must read sections! But first, let us make all of this short. We promise we will provide you only with the most relevant and important information and data (plus some extra interesting info). Founders (team and advisors) of the Trust network believe that blockchain can only develop with the focus on the development of blockchain technology. We all have to agree with this one. In addition, they believe that the problem of adoption is the biggest problem that prevents blockchain from entering a new phase of development. They concluded that there is a huge need for the adoption of Web 3.0 and DApps as they play a key role in the logical evolution of the Internet. Whitepaper implies that users must have a clean and intuitive interface to process crypto transactions and manage their digital assets, similar to the experience that mobile payment platforms. 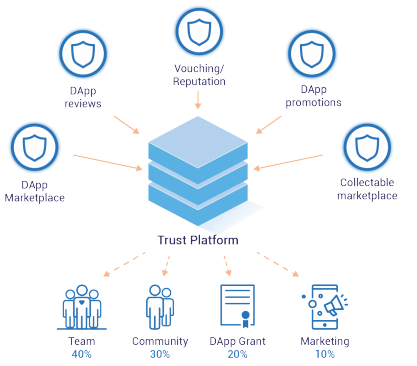 Trust Platform ICO team realizes that following problems must be solved (and have created Ethereum user-friendly wallet for following purpose: to solve complicated user interfaces, to enhance applications in aspect of real-life data display, to solve inadequate incentivization of DApp development, to shortage of trustworthy marketplaces for DApps with ratings and peer reviews and to solve problems of registration, password and account management + to solve problem of poor accessibility of DApps on mobile devices. We’d like to suggest you go to the Trust whitepaper to see more about DApp problem breakdown – but in whitepaper problem section you won’t find much that is not already written in this Trust ICO review. However, we think the problem is exposed at the most quality and interesting way, so now it would be great to switch to Trust Platform Wallet dApp. Stay tuned, it’s getting even more interesting (if it’s possible to surpass the curiosity of the information we’ve given you so far). Now, let’s just say that, as Victor Radchenko described this project, the Trust Platform Ethereum Wallet mission is to make cryptocurrency easy to use and to enable you to have control over your digital assets – via decentralized applications on the mobile platforms. Whoever wants to investigate any – literally any – ICO, must pay attention to the level of complexity of which the ICOs whitepaper is written. So far, we have already said that we are personally literally impressed with the Trust Platform ICO project and we will explain the reason for that in this Trust Platform Network ICO review. Now, let’s see why is that so. The mission of this project is to overcome poor UX (user experience) that prevents the mass adoption of Web 3.0 and Blockchain technology, using a clean interface and high levels of security integrated into a mobile application. Now, let’s take a look at how is Trust Wallet whitepaper written: is it written generally or more technically? Well, both and neither. Trust platform whitepaper is easy to read and whitepaper thus enables newbie readers to gain control over whitepaper text. Otherwise, we would have considered such a whitepaper as an average, but in the case of the Trust whitepaper, it had to be tailored to the targeted audience for which the Trust user-friendly wallet (Ethereum wallet) product was intended to achieve the goal of Trust Platform, a blockchain technology mass adoption. As written at whitepaper, Trust DApp is designed with simplicity in mind in order to facilitate the adoption of cryptocurrencies for users with any level of knowledge of blockchain. It provides a full security audited system to send, receive and store digital assets. 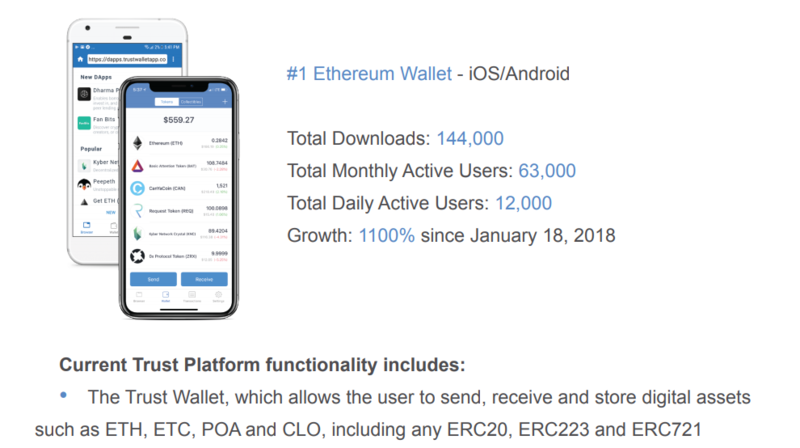 In few words, Trust ICO consumer and developer solutions for above-described problem(s) are Ethereum user-friendly Wallet for iOS and Android + Trust DApp browser (picture below). Trust Platform implies/includes Trust Browser and Trust ETH Wallet. On the other hand, there are elements of Trust API, Trust SDK, Trust ID and collectible marketplace + decentralized DApp marketplace. The main goal of Trust Platform ICO is to build a decentralized ecosystem of peer-reviewed marketplaces for DApps and crypto-collectibles and to incentivize DApp developers to help increase the mass adoption of Web 3.0 and Blockchain technologies, which is the main gap of blockchain today. Trust Platform enables user verification for cross-platform account management and introduces reputation scores to users, providers, and developers. The first pier of Trust Platform is Trust Wallet that is developed with a purpose to interact with Ethereum-based blockchains (take a look at Annex B at the end of Trust Platform whitepaper but make sure to get back at this Trust Platform ICO review – it has much more to offer!). If we try to summarize wallet description section of whitepaper we should extract the following relevant information: Trust Wallet enables users to send and receive coins and tokens on the go; there are notification features of changes in transactions; in the future cross-blockchain collectibles from within Trust Wallet will be allowed for all wallet users; core elements of Trust Ethereum Wallet are designed to provide defense mechanism and ensure maximum security for all wallet users. When it comes to Trust Browser, Trust decentralized application runs on a decentralized peer-to-peer network using smart contracts and, because it is integrated into the Trust Wallet, it makes interactions with DApps much simpler to every user. If you liked all about Trust Wallet and Browser so far, we bet you will enjoy next few lines of Trust ICO review. Trust ID, as the main element included in Trust Platform, aims to solve account management and reputation problems in blockchain technology. As we will talk in the following few paragraphs, Trust ID development is planned to start at the beginning of the year 2019, just after the Trust SDK, API and DApp marketplace ICO phases reach their ends. Trust ID is planned to allow users to use their profiles while transacting with each other and other applications (Trust will interact with other platforms and apps so the registration and verification process will be required only once for this wallet and will apply for any other DApp because the record of identity verification will be stored on the blockchain). In order to make Trust Wallet DApp the most secure platform, reputation will be used to verify developers and partnership with KYC (Know Your Customer) providers will be established. Trust SDK (Software Development Kits) and Trust API (Application Programming Interface) together enhances communication and integration with other DApps/payments/deposits – all via Trust Wallet DApp. Trust SDK is especially interesting because it will enable enterprises to connect businesses with the power of blockchain and thus use all of the blockchain benefits at the market. As we said earlier, some competitor solutions have poor functionality and are not open source, and while writing that down, the Application Programming Interface is what we had in mind. Trust API will provide developers with open-source software to communicate with the Trust Wallet application and will allow other projects to request transaction statuses, order fills, market moves, auction updates, and other information they might need. Congratulations! You have reached the end of the technical part of Trust Platform Network ICO review! Now let’s dive into the most interesting part – token sale, and exciting one – team and advisors execution on past projects. Finally, these sections will help us (all) to evaluate the potential of achieving promised product quality. According to Trust Platform Terms and Conditions, 1 ETH equals to 2,500 TST tokens. The minimum amount that you may contribute to this Trust ICO is 0.1 ETH and the maximum amount that you may contribute to this Trust ICO is 5 ETH. Contributions to be made in ETH must be sent from an Ethereum wallet in respect of which you can identify your private key and shall be sent exclusively to the Smart Contract System’s address specified on the Token Sale website. In order to receive TST, you must have an Ethereum wallet that supports the ERC20 token standard. If this is not the first Trust Platform Network ICO review you are reading, then you have noticed that there’s not a single ICO expert who is not impressed with the Trust Platform ICO team so far. For some of them, the reason lies in team and advisors experience at past projects and for the others, in team and advisors focus on technical performance and maximum engagement on product quality. Third are impressed for both reasons. (By the way, Trust ICO whitepaper has 44 pages, and is more technical than team proving and token distribution describing, which proves teams focus on the technical aspect of the project). Team members are Viktor Radchenko, Max Rasputin, and Boris Butakov. They are all available at LinkedIn so you can look at their profiles and find out more about them – but, to save you your valuable time, we made that job for you! If you run into the Trust Platform whitepaper, and try to find more information about the members of the team, you will notice that the whitepaper does not talk much about the team and advisors. Nor about partners. Nor token distribution. Still, all of these data are available on the Trust Platform web page, but such data is not written in details in the Trust whitepaper. At this point we must acknowledge that this is one of the ICOs that are so much focused on developing (already quality) products that they are didn’t find necessary to focus at team members promotion or at media presence, which is the case with many other ICOs that launch the product on the market only after the ICO phase of the project. However, we have found more information about team members and wrote them in this wallet review. But that’s not all, we’ve also analyzed their past projects to show their experience as faithfully as possible. Otherwise, we have not noticed that members of this team have great experience in blockchain technology, but their role in past projects and businesses they founded are enough relevant for this ICO project and speaks for themselves. This ICO is more than a project because the product is already used in the real market for real users! Trust Platform user-friendly wallet is already a successful project! 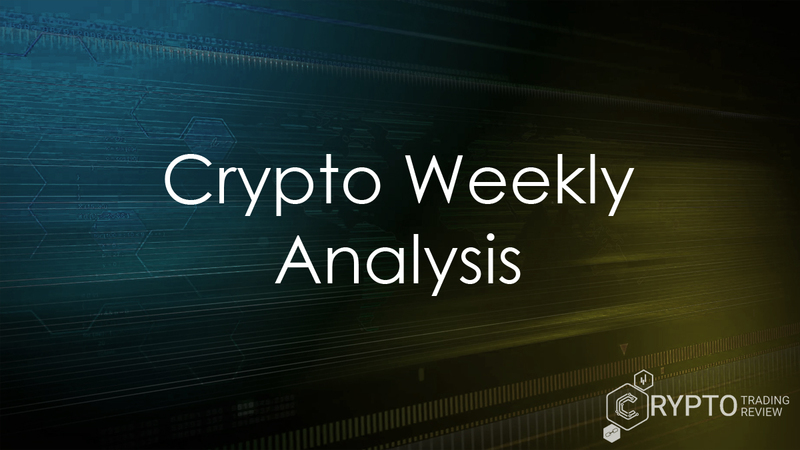 In the continuation of this review, you will see why we anticipate that such development and success of this ICO will continue in the future. In other words, you have just found ICO to invest in! Now let’s see Viktor Radchenko (Russia) execution on past projects. Victor Radchenko, the founder of Trust Wallet, has over 500+ connections at LinkedIn. When it comes to the words with which he would describe himself, he says: ‘I love to build things that solve problems and make the impact on our lives. Do things faster than others.’ Victor Radchenko is an expert in financial services, and before Trust Wallet, he worked at Trucker Path (https://www.linkedin.com/company/trucker-path?trk=ppro_cprof), Seed Platform Inc. and Symphony – Secure Seamless Communication. Victor Radchenko is the co-founder of Trucker Path, was iOS Developer at Symphony (for 2 years and 7 months) and software engineer at Seed Platform Inc. (for 1 year and 8 months). It is evident that Radchenko has changed several jobs in a few years, but as fast developing technologies are evolving very rapidly, it is expected that developer’s personal progress is accompanied by career upgrading – with the change of job position. Let’s now see one of his biggest projects – of course, first after the Trust Platform Wallet. Trucker Path (co-founder) is an enterprise that deals with the problem of solving inefficiency processes in the trucking industry. How do they do it? By Building Road Assistant, that helps truck drivers to find places to stop/rest/inspect/service, plan trips ahead and share the experience with fellow drivers. At this project, Radchenko has architected and build iOS Application and Back-End from the ground up, Implemented REST API, simplified UI/UC experience, implemented UI/Unit testing etc. 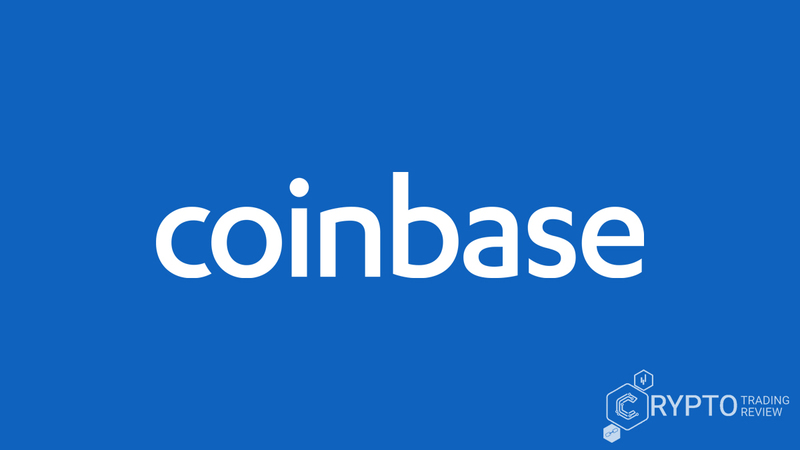 At some other projects, as Symphony, for example, he implemented Real-Time Communication Protocol, Caching, Storing Encrypted Data locally and integrated third party services, and at Seed Platform Inc (where he was a software engineer) he builds modern banking for small businesses. Trucker Path was recognized by industry leaders and the media as the company bringing the transportation industry into the 21st century. Doesn’t you think this speaks for relevant references of Radchenko for the Trust ICO wallet? Now let’s see Max Rasputin’s career execution on past projects. Maxim Rasputin is – as we mentioned earlier – the co-founder & CTO of Trust ICO. Unlike Radchenko, Max has only 115 followers at LinkedIn and 108 connections. Before his work at Trust Wallet he was engaged at Zengalt as android developer (for 1 year), at Farpost as Android Developer (for 2 years and 7 months), at Conteksoft LLC as software developer or more precisely, design and web application developer (for 1 year and 9 months) and finally, at Zoom Group as developer (design and develop software for Android devices), for 2 years. Maxim Rasputin has master’s degree in Information Resources Management so it is obvious that is his contribution to Trust project. One of the most important experiences he has gained in his past projects is as a member of Zengalt Enterprise. Zengalt is mixed reality partner for Microsoft. In other words, Zengalt builds applications for Microsoft HoloLens and other augmented reality and virtual reality devices. Zengalt applications are renowned for their quality, which is why they have been invited into Microsoft partner programs multiple times in the history. This Rasputin’s experience is important for Trust Platform Network because of Zengalt HoloLens Application (vzyn, pronounced like ‘vision’) that allows content developers to create without writing any code. Now pay attention – it is created with the intent to be extremely simple, which is precisely the reason why it gained market success at such small period! The Museums, Sports & Auto Racing, Scientists, Schools, Architects, Municipalities, and more use this product every day. Does it remind you of some other project at which Maxim Rasputin works today? Well, it is obvious that these kinds of problem solutions are recognized very fast at the market and with quality roadmap plan only the sky is the limit for such an ICO. Trust Platform is the most secure Ethereum based wallet build with ease of use in mind, it provides full security audited system and it is designed specifically for mobile to provide the best possible experience – or as some guy said for this ICO, even his old neighbor could use this secure and simple Ethereum based wallet regardless of the fact that he has no clue what the word block (from blockchain) refers to. Even though this was not a joke, let’s put joking aside. At this point of Trust Wallet review, we are getting very serious. The third member of Trust Platform is Boris Butakov who described himself as „out of the box thinker who challenges existing standards to find the most optimal solution. Recognized for quick thinking, attention to detail and relentless work ethic“, and was described by executives as a “self-starter, gifted problem-solver and company’s most valuable resource”. Now how much this professional description tells you about this competent and out of the box thinker? Before the Trust Wallet customer and developer solutions application, Butkov worked as senior manager of digital marketing operations at AMAG Pharmaceuticals for 2 years. AMAG Pharmaceuticals was founded in 1981 and in this moment has up to 500 employees. It’s President and Chief executive officer, William Heiden was named a 2018 EY finalist for Entrepreneur Of The Year® in the New England Region. Boris Butakov led marketing operation projects from process definition to development, including facilitating collaboration and agreement with digital marketing partners/customers at AMAG Pharmaceuticals and is still working at this company as a senior manager at digital marketing operations (since 2016). This guy drove solution sets across development teams (development/engineering and marketing) through market requirements, product contract, and positioning and implemented new lead scoring mechanism and operational procedures that led to increase in yield rates by 50%, has rebuilt marketing automation infrastructure and created a comprehensive A/B testing environment to streamline lead flow and management, etc. All of this in the company which developed from $85 million in revenues (in 2012) to $500 million in the year 2016. Trust Platform Network ICO has four advisors: John-Paul Thorbjornsen, John Ng Pangilinan, Renqi Shen and Arthur Balikhin. 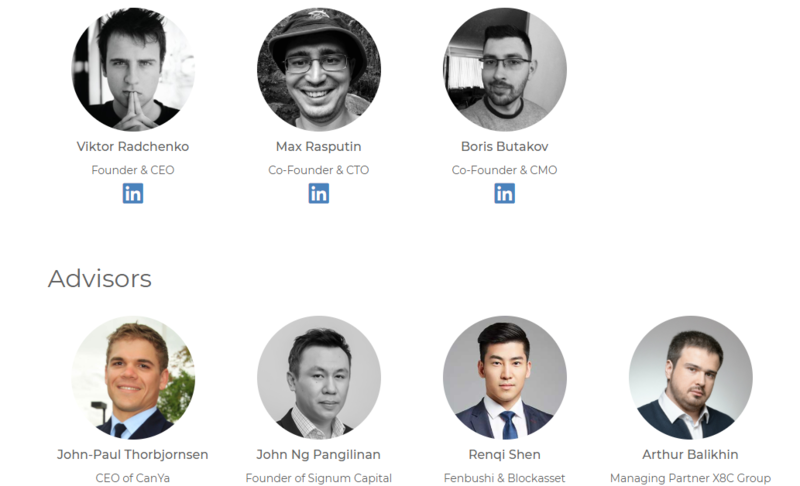 John-Paul Thorbjornsen is the CEO of CanYa, John Ng Pangilinan is the founder of Signum Capital, Renqi Shen is known because of his work at Fenbushi&Blockasset Ventures, and Arthur Balikhin is the Managing Partner of XBC Group. John Ng Pangilinan is the partner of Signum Capital (from 2017) and CEO and founder of MeGuideU. Today he works at both plus Trust Platform. Renqi Shen is a blockchain and digital assets investor: partner of BlockAsset, an investor at Fenbushi Capital and advisor of Trust Platform ICO, Xonio Pte., and METADIUM. Notice that he is still involved in all these projects. Finally, Arthur Balikhin has over 12 years of entrepreneurship experience in Tech and 3 years of experience in the crypto community as an investor. He is managing partner at X8C Group and was head of ICO department (Finforge) from July 2017 to June 2018. He has 2 years of experience in cryptanalysis and 8 months of experience in mobile storage security analytics and supply chain support (at Dixis). Thorbjornsen is CanYa co-founder, the blockchain marketplace known for raising $1,5 million in 24 hours with pre-sale initial coin offering in 2017 and $12 million at the close of CanYa ICO! Not only that, but Thorbjornsen is an advisor of Invox Finance, Australia’s second largest ICO with a goal to achieve another big success just like he did with CanYa and Invox Finance. Don’t you think he has the knowledge and potential to lead Trust Platform to that success as well? Take a look at Trust Platform hype in media and publicity now, then quickly go to the roadmap and token distribution to see why we have chosen Trust Platform ICO to evaluate its potential at this moment! Trust Platform has 368,000 subscribers at Reddit and about 5.685 members at Telegram (at beginning of June 2018 this number was about 1800). Trust Platform has 740 followers on Twitter and is present at Github and Medium web page. This level of media hype goes with the earlier prominent fact that the Trust ICO is very little promoted through marketing and does not plan large financial expenditures for marketing purposes but focuses more on the technical side of the project. Trust Platform understands that in such project deadlines it is very hard to accomplish and deliver every promised consumer and developer solutions exact at the time – at the exact day when it is said that some phase of the project will be finished and that the next phase of the roadmap will start. For that reason, Trust team and advisors point out and state that the roadmap is subject to change. They point out that the roadmap will be updated every time changes occur due to the dynamic nature of blockchain product development. Just look at the roadmap in the next image! 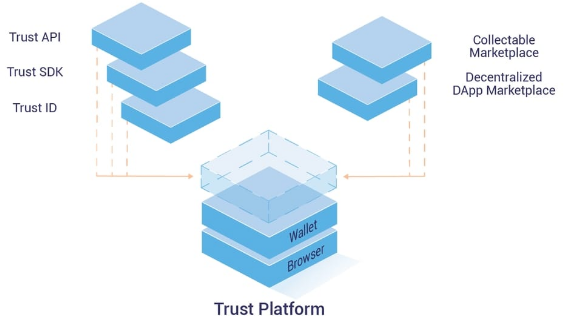 As you can see in the roadmap image, the idea of Trust Wallet started in mid-2017 (a year ago at the time of writing this article, June 2018). The ICO project phase is scheduled to end in early 2019, and the assets collected from the token sale is planned to be used for Trust wallet DApp upgrade and all of its elements about which we talked a while ago in the review section about Trust solutions. You have noticed that ETH support, token support (ERC207 / 223) and DApp browser ICO project phases are over. This initial coin-offering project at the time of writing this article is in the trust SDK phase, followed by the Trust API and in the same quarter, with the decentralized DApp marketplace. At the beginning of the year 2019, the trust phase ID is planned as the final phase of Trust Platform ICO. As we have already mentioned, SDK stands for software development kits – for iOS and Android platforms in Trust Wallet case. The development phase of SDK is happening just at the time of writing this article. The purpose of this phase of the development of Trust ICO Wallet is to allow payment and deposits in cryptocurrencies at Trust DApp to enable businesses to experience the power of blockchain. In Trust SDK project stage (Q3 2018) Trust Platform Network has the consumer and developer solutions for the real market need to help those who find it difficult to use other Ethereum wallets (especially enterprises). By using this user-friendly application, they will finally be able to integrate blockchain technology as an integral part of their business. The Trust API phase of the project started in the fourth quarter of 2018 (as well as the decentralized DApp marketplace). At the end of the Trust API phase, the software will allow two applications to communicate and exchange data. The Trust API behaves as conduits that pass information between different services so that it can be displayed to the user in an aggregated format – as the cheapest ticket or best flight. It helps applications and services to form an interconnected network, which means that the Trust Platform ICO has a consumer and developer solution that is actually very poorly developed by competitors: the competition has poor functionality and are not open sourced (Trust Wallet will be). At the same time as the Trust API is developed, a decentralized DApp marketplace is in its developing phase as well. At the end of this phase, they will be able to harness and control the power of blockchain from one place. The quality of the application will be continuously improving, with the help of DApp customer reviews. When Trust ID is development ends (in 2019) application users will be recognized in all DApps and blockchains. Trust ID will become the standard in identity registration and verification processes within the network of Trust partners. In 2019, Trust ETH Wallet will enable application users to be recognized in all DApps and blockchains. However, how does the Trust Platform Network ICO plan to accomplish this? Are there any partners? As we have said previously, Trust ICO offers private sales only to partners and strategic investors. The point is that private sale is offered only and exceptionally to partners and investors that share the same point of view when it comes to Trust Wallet vision and long-term goals. No more than 15% of total circulating supply will be sold to any one group or individual, which of course refers to partners and investors as well (vested over 1 year with 25% released every 3 months starting from 10th June 2018). Except for previously mentioned Kyber Network (converts tokens instantly) where Trust ICO is happening (and is first ICO on KyberGo), Trust Platform partners are Wax, Poa, DDEX (decentralized exchange built on Hydro Protocol Technology), OpenSea, Changelly, CanYa, Loom, and FundRequest. Many say that as this ICO already has delivered product at the market (that you can try, and evaluate project quality in every aspect), the team, advisors, partner, and investor analysis is not that important to rate the potential of success of this ICO. The matter of fact is that we must agree on that. DDEX offers instant, real-time order matching with the secure on-chain settlement and has a purpose of redefining decentralized exchanges. On the other hand, Wax as another Trust Platform partner is a global decentralized marketplace for virtual assets (has over 25,000 Telegram subscribers, and is developed by founders of OPSkins). POA Network, OpenSea, and other partners have similar goals to Trust Platform ICO as well. That fact goes hand to hand with the fact that Trust ICO makes partnerships only with enterprises and individuals that shares the same vision about blockchain development. Trust Platform ICO has 100,000,000 ERC20 tokens in total with the price of 1 TST or in other words, 0.19 USD (0.00040000 ETH). There are 50% tokens available for sale (Trust ICO has a whitelist of which we have said few words in previous review text). This means that the Trust Platform fundraising goal is 20,000 ETH or 9,400,000 USD. The token sale started on 10 July. Let’s take a look at TST token distribution details. As we have just said a moment ago, the total supply of TST token is 100,000,000. They are distributed as follows: 50% for crowd sale (50,000,000 TST), 24% for reserves (24,000,000 TST), 16% for the team (16,000,000 TST), 6% for advisors and partners (6,000,000 TST) and 4% for the marketing purpose (4,000,000 TST). Some of these tokens will remain locked until three months from the date of token distribution pass – which means they will be unlocked and disbursed within three months from first token distribution (from 10th of July). This does not imply to crowd sale or marketing token distribution. Reserves, team and advisors/partners token will be vested for 9 months – 2 years and released every 3-6 months. Reserve tokens will be used to build the Trust Ecosystem and sustain the development of Trust Program, and are released every 6 months. Trust Platform ICOs token contract will process all of the fees collected through the Trust Ecosystem and will be paid in TST. Trust token contract (for in-app proceeds) will incentivize all players in trust ecosystem by token distribution, with the following schedule: 40% for the development team, 30% to the community reserve pool, 20% to the DApp grants pool and the 10% to the marketing team. Now, let’s see the Trust Network token contract for in-app proceeds (picture below). It is visible that the Trust Platform product stands at team, community, DApp grant, and marketing. Considering the percentage of token distribution schedule from a token contract, we can see which Trust elements are considered as most important: development team is priority number one and marketing team is the last at this list. We must say this is the best priority list that any ICO should have! The planned budget allocates the TGE (token generation event) for six elements: core development (60%), marketing and adoption (20%), security (5%), legal and operations (10%) and UX research (5%). Otherwise, all of the funds raised during the TGE will be utilized to extend the Trust Ecosystem and support the team to the vision outlined in this Whitepaper. You have noticed that marketing and adoption have 20% of TGE budget (it is not the same as token contract allocation). In this case, the purpose of the marketing process is not only to promote Trust DApp, but also to reach the Trust ICO product goal which is originally contributing in and solving the problem of blockchain (ETH) mass adoption. Well, that is where 20% of TGE raise goes! When it comes to core development (60%), a major part of the budget will be devoted to the development of products as Trust ID, Trust DApp Marketplace, Marketplace of Crypto Collectibles, and the Trust Vouching, Review, and Reputation systems. 10% for legal and operations will go for assuring compliance with current and future regulations in order to assure funding for changing legislative and regulatory requirements. Is Trust Platform ICO Safe? Is the ‘Trust’ Platform Safe? We bet you have so far noticed the number of ICOs that are called by some version of the word ‘trust’. This isn’t surprising because trust and data security is the most important element when it comes to the blockchain. For that reason, many people use this name to gain public confidence. Still, we must point out that the Trust Platform ICO does not have to prove it in any way, either in that one. Why? For exact reasons that we have mentioned several times in this review. Trust Platform has an already finished product that is already in use by more than 50,000 of users who evaluates Trust wallet as quality, safe, reliable and functioning! The Trust API, SDK, and ID together with other software and partnership solutions guarantee the safety of this user-friendly Ethereum based ICO wallet. The only thing you should be worried about is whether you invested in this ICO in time – or were you too late. 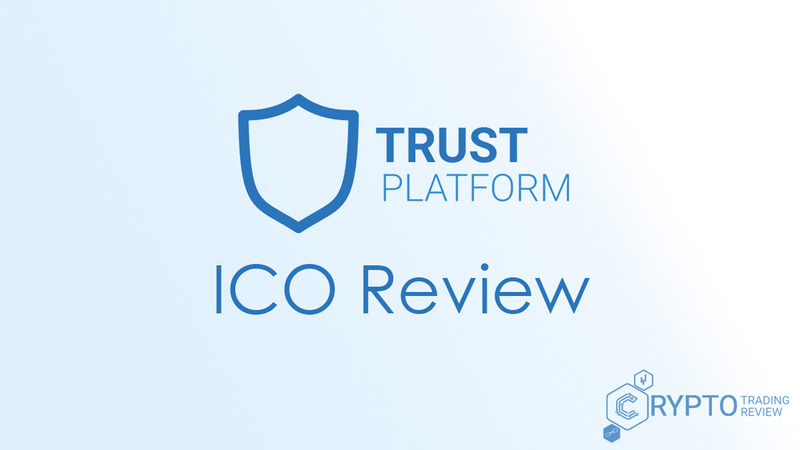 This extensive review has shown that the Trust Platform even before the ICO had a launched product in the market that was functional from the very beginning and has achieved impressing application download increase in a short time. Due to the fact that while evaluating any ICO we have to consider the team’s quality, advisers, the feasibility of roadmap and ICO hype in the media in publicity (those are always in focus at our ICO reviews), Trust ICO may seem to be average due to low hype in the media, but that is not the case. Pay attention to the fact that Trust already has a real market product. The ICO phase of Trust Platform provides funding for the outward development of a project that has already shown great success and interest in the market of all who have tried it. In addition, the Trust Platform ICO has a great token metrics and low cap. For that reason, we predict that Trust will succeed in gathering the required assets for achieving all plans. Finally, the universal operating token is what makes Trust Platform functional and different from others.